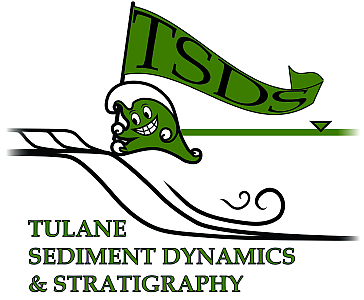 Our research in the sediment dynamics group aims to improve our understanding of the processes that shape the submarine and terrestrial landscapes that comprise continental margins. Many open research questions associated with the morphodynamics of the Earth’s surface and construction of stratigraphy can be studied at reduced scale. Answering some of these questions will be the aim of the research conducted in the sediment dynamics laboratory. Currently the laboratory houses a deepwater delta basin, a delta basin and a recirculating teaching flume.